Eric started fencing at the age of 12 because of his friend Teddy Levitt. He did not particularly enjoy playing team sports and thought that fencing was cool. At the age of 15 Eric won his first national title in the Division III event in Atlanta, GA. Same year Eric earned a second national title, this time together with his team mates Teddy Levitt and Harry Mahaffey: they became 2006 Junior Saber National Champion Team. It was an amazing result that introduced Eric to a new realm. People started recognizing him in the fencing community, he was not the anonymous kid anymore. The following year Eric together with the same team plus Olympian Jason Rogers earned the Senior National Champion Team title in Miami, FL. His best individual result so far is 3rd place at the 2010 Junior World Cup in Budapest, HUN. 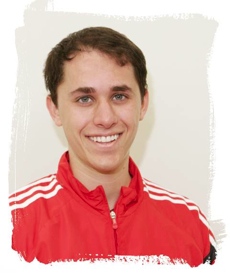 Currently Eric is a member on the NCAA Harvard University Fencing Team.